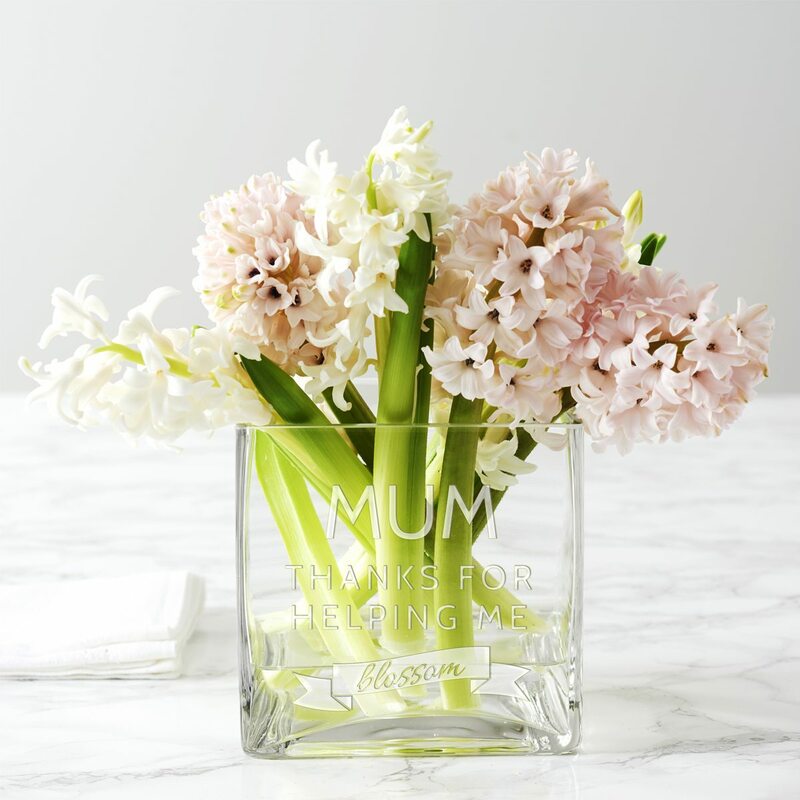 As you can personalise the vase with the name of your choice, you could create a beautiful birthday gift for mums or friends, or a thank you gift for teachers or give it as a special present this Mother’s Day. Whomever the recipient, they are sure to treasure this vase for years to come. 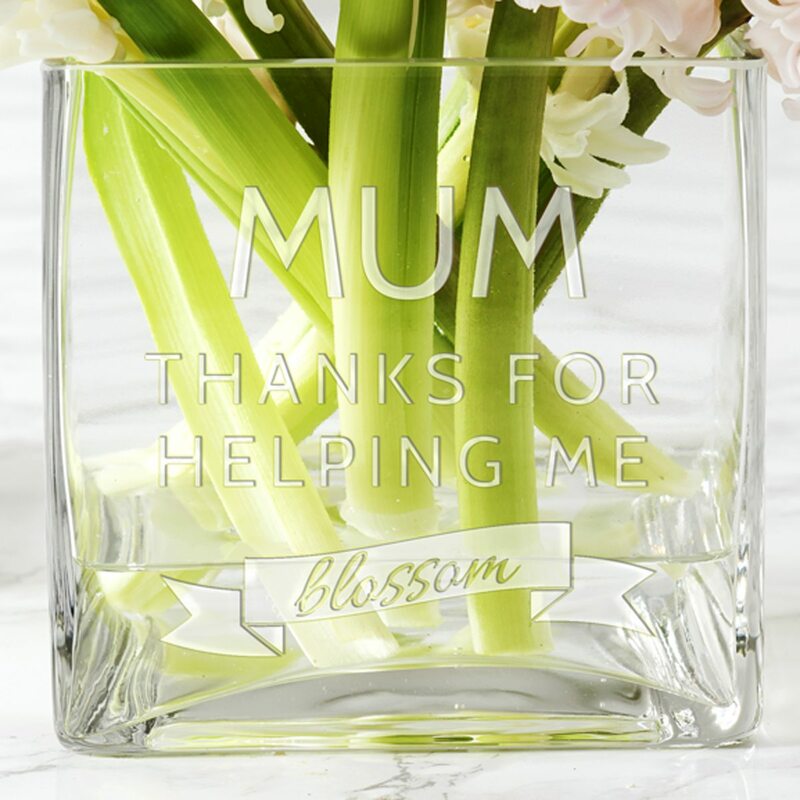 As standard we etch the phrase ‘___ THANKS FOR HELPING ME blossom’. There is a banner motif for added interest. 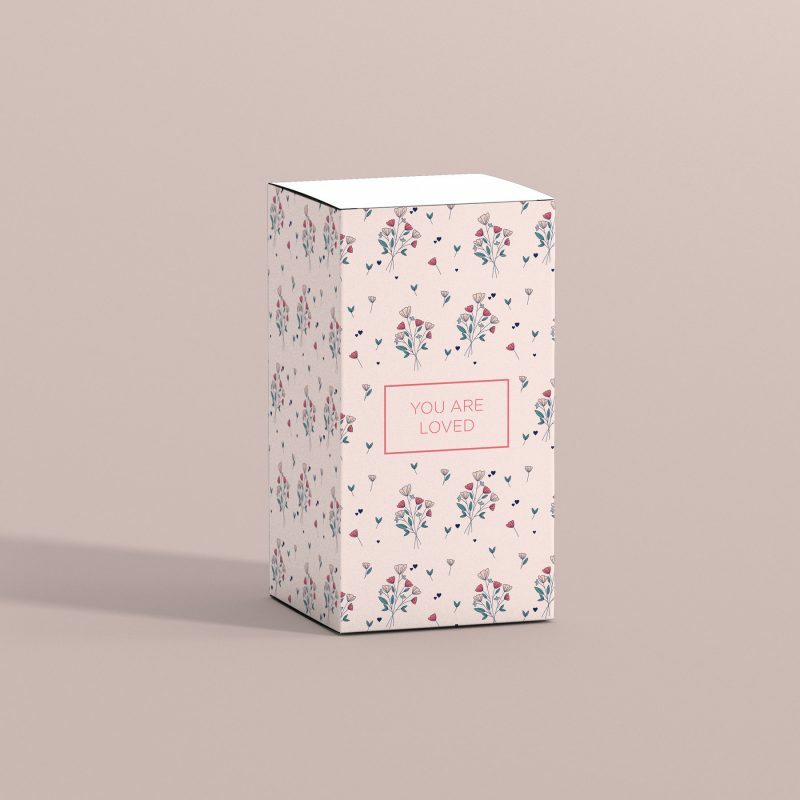 You can add the name of your choice to create a thoughtful, personal gift. Please enter up to twelve uppercase characters in the personalisation box. Please ensure all spelling and punctuation are correct as we will etch exactly what you enter. Your personalised design is hand-etched in our studio in Liverpool. As standard, the vase is wrapped in tissue paper and bubble wrap and is dispatched in a bespoke postal box. Buying a gift? 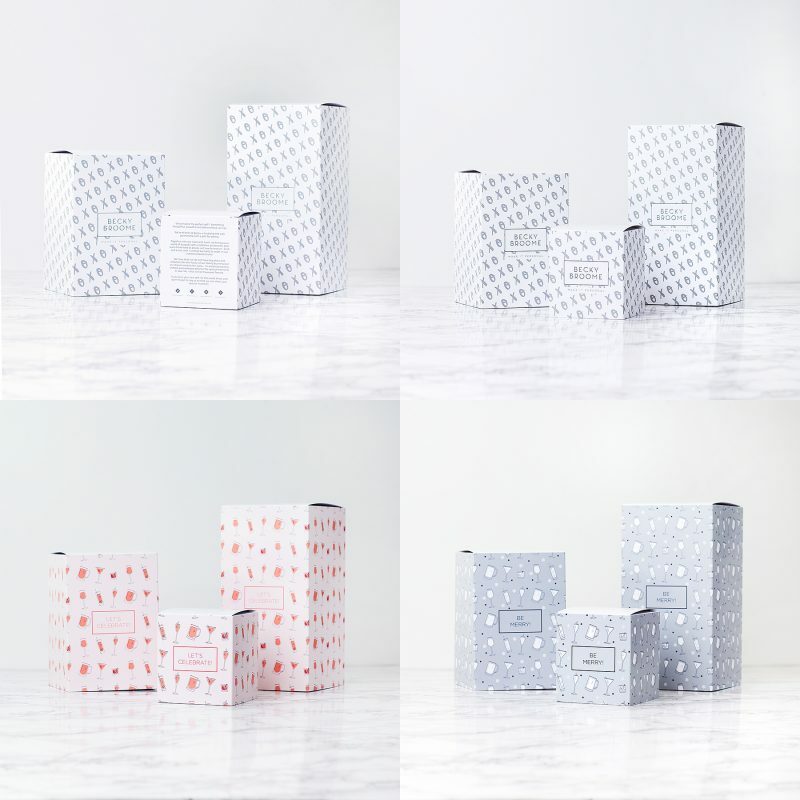 Take the hassle out of wrapping by choosing our gift box service. 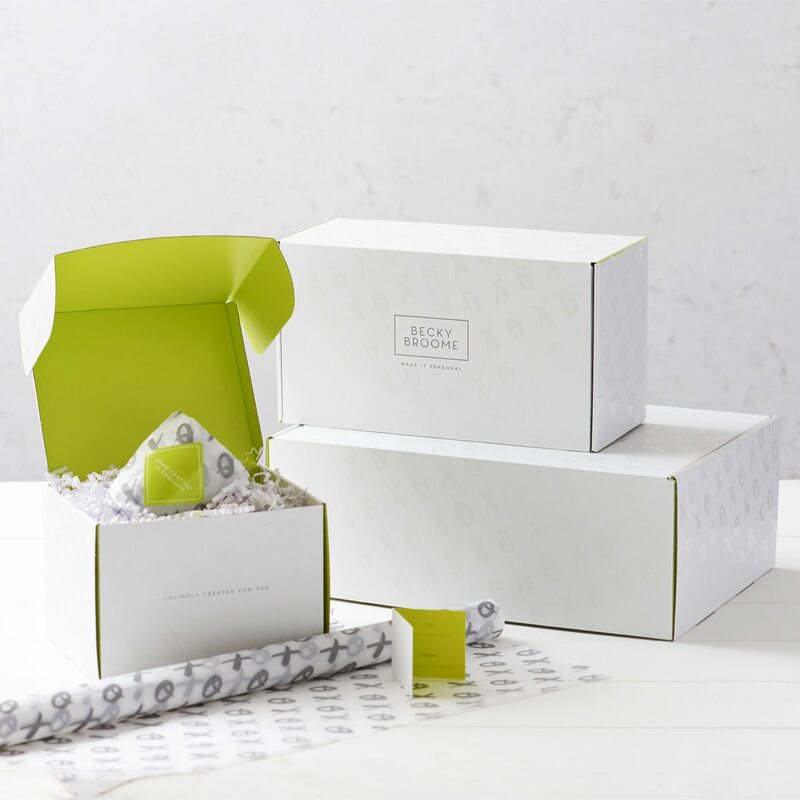 Your item will be wrapped in tissue paper and placed in a beautiful signature gift box, complete with a gift tag.